Tooth decay ranks as the leading chronic disease among school-aged children in the U.S., according to the Centers for Disease Control and Prevention. From a young age, tooth decay can cause serious problems with a child’s long-term oral health. When decay causes teeth to fall out too soon in younger children, the resulting gap in a child’s smile can cause the development of over-crowded and crooked teeth when they reach adolescence. For school-aged children suffering from the affects of decay, the resulting discomfort they experience can cause them problems in school. Studies have found that kids who suffer from untreated decay perform more poorly in school when compared to children with healthy teeth. Researchers attribute this discrepancy to the amount of time a child misses school due to the pain caused by untreated decay and an inability to concentrate when in school due to oral discomfort. Now a new study suggests the affects of tooth decay may be even worse than previously imagined. According to researchers at University College London and the King Fahad Armed Forces in Saudi Arabia, tooth decay may also prohibit growth in children. The study was published online in the children’s health journal Pediatrics. Researchers began their study in an effort to determine the relationship between growth and oral health after previous studies had failed to show any correlation one way or the other. To determine whether a connection did exist, researchers looked at the data of dental decay and the correlation between weight and height in children living in Saudi Arabia between the ages of 6 to 8. The children examined in the study had their oral health graded on the DMFT scale, which determines the level of decayed, missing or filled teeth a child suffers from. Researchers examined the available data and determined that a relationship between low weight/height and an increased number of cavities did indeed exist. Children who suffered from severe cases of decay had a higher chance of being shorter and underweight when compared to kids with little decay. Even when researchers examined secondary factors, such as social values and demographics, that are known to limit growth, the correlation between stunted growth and decay still remained. Based on this research, it’s fair to say that an inverse relationship between tooth decay and growth exists in children. However, further research is needed to confirm these findings. Considering the findings of this study, it’s clear that protecting child’s oral health should remain a top priority for parents. Like adults, children need to brush and floss daily to lower their risk of tooth decay and gum disease. Children also need to regularly visit Dr. Nelson to ensure any signs of decay are spotted early on when the condition is the most treatable. 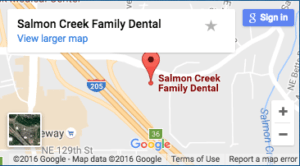 If you have any questions about the best oral health practices for kids, feel free to ask Vancouver, WA family dentist Dr. Nelson or any member of our team at Salmon Creek Family Dental during your next appointment.